The men's retailer will be located in the spot that previously held 10denza. A new fashion brand selling men's suits is coming to the Central West End. Suitsupply, a low-cost men's fashion brand whose $614 suit famously bested a $3,625 Armani in Wall Street Journal blind test, will open at 44 Maryland Plaza in the Central West End this winter 2017. It currently has 25 U.S. locations; this will be the third in the Midwest after Chicago and a Kansas City outlet opening in June. Founded in 2000 in Amsterdam, Suitsupply's first American locations opened in 2011. The growing men's fashion brand will take over the space currently occupied by 10denza, a boutique-style retail store focused on what's trending and the styles of pop culture. 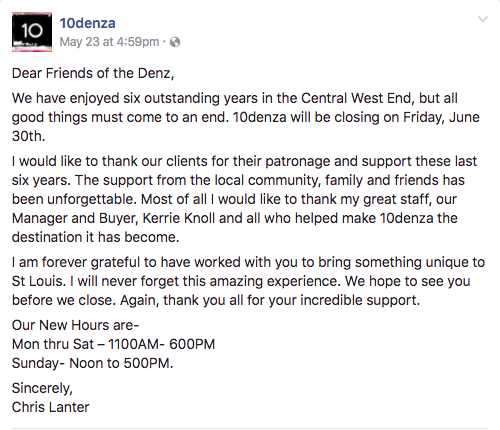 10denza opened its doors in 2011 and will close its doors at the close of business on June 30. According to a Facebook post, the shop has no immediate plans to relocate. Suitsupply has aspirations of opening to the public before Christmas after making some serious renovations, according to a spokesman. The new store will be two stories. Construction will begin August 1 on the building's interior with a few minor exterior changes to be made. 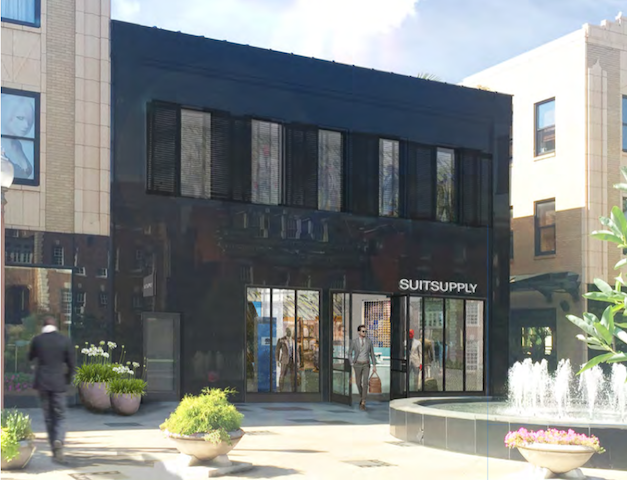 In a press release, Sam Koplar, president of Koplar Properties and an owner and developer of Maryland Plaza, said, “Suitsupply is an iconic, global brand in men’s fashion. This is a great addition to Maryland Plaza, one of St. Louis’ premier shopping destinations, and an exciting time for the Central West End."